Good news for Los Angeles — President Obama’s proposed FY16 budget includes $100 million for the second section of the Purple Line Extension Project. Section two will run from Wilshire/La Cienega to Century City and include a station in downtown Beverly Hills. The President’s budget also recommends that Section 2 of the subway receive federal New Starts funds which, if granted, would provide matching funds to construct this portion of the subway. Section one of the project received an FFGA this past spring of $1.25 billion. New Starts is a federal program that helps local transit agencies pay for big, expensive projects. In this case, the New Starts money is being paired with revenues from the half-cent Measure R sales tax increase approved by Los Angeles County voters in 2008 to pay for building the subway project. The President’s budget also recommended $230 million in funding be allocated for two existing New Starts and Measure R projects – the Regional Connector and the first section of the Purple Line Extension. Los Angeles Mayor Eric Garcetti, business, environmental, labor and community leaders today applauded the inclusion of $100 million in President Obama’s proposed FY16 Budget for the second section of the Metro Purple Line Extension Project, calling the action an important step in keeping Metro’s planned subway construction toward West Los Angeles on track. The Mayor also praised the President for including $230 million for Metro’s two existing New Starts projects – the Regional Connector and the first section of the Purple Line Extension ($115 million each). The proposed funding within the President’s U.S. Department of Transportation budget – if approved by Congress later this year – can be combined with L.A. County’s voter-approved Measure R sales tax revenue and could fund construction of Section Two, a 2.6-mile extension of the subway through Beverly Hills to Century City scheduled to open in 2026. Metro has already begun construction of Section 1 between Wilshire/Western and Wilshire/La Cienega. A third and final subway section is planned to reach the Westwood/VA Hospital in 2035. The second section of the project would build two new underground stations — in downtown Beverly Hills near Wilshire/Rodeo and in Century City at Constellation/Avenue of the Stars. The long-awaited subway extension will provide a high-capacity, high-speed, dependable transit alternative for those traveling to and from the Westside – L.A.’s “second downtown.” More than 300,000 people travel into the Westside every day for work from areas throughout the county and beyond. Metro is continuing to pursue funding to complete the project to Westwood and accelerate the pace of construction. The Purple Line Extension Project is partially funded by the Measure R sales tax approved by voters in 2008 and can be used to leverage federal “New Starts” matching funds. Metro’s Long Range Transportation Plan for Los Angeles County commits $4.2 billion (in 2009 dollars) over the next 30 years to building the subway extension project. Metro is in the process of applying for a federal grant and loan that will be paired with Measure R funds to build Section Two of the project. The Federal Transit Administration recently gave Metro approval to begin preliminary engineering work. Construction for Section 1 of the project began late last year and pre-construction activities for the second section of the subway are now underway. In January, Metro began performing potholing work in the Century City area to learn more about underground utilities there. Metro has also begun contacting tenants who may need to be relocated and is beginning the process of acquiring any properties needed to build in the area. 1. If Congress approves this funding, will it allow the project to be accelerated? 2. Does this free up any Measure R funds to be spent on other projects with funding needs, or did the budget already assume federal grant funds? 3. Has there been any progress in getting FTA clearance for other projects, such as the South Bay Green Line Extension? Great news about the $100M budget. You should include a link to a description and map of the Purple Line extension in the article. You guys seem overly optimistic that this will pass. It’s a GOP controlled Congress, they’re not going to approve Obama’s spending bill. True, but previous FFGAs have passed a GOP House. Good chance it gets funded, especially if Maryland’s new Republican governor abandons their new rail project, which is also recommended for funding, thus allowing Republicans to claim credit for cutting the budget without going after LA’s appropriation. If people in Los Angeles want a subway, they should pay for it themselves. If the Feds pay for it, that’s the same poor people in Alabama to pay for your ride to work. Shame on you LA! We pay a lot more for highways in Alabama and other places in the US than vice versa. CA is a net donor of transportation funds as well as overall tax revenue. 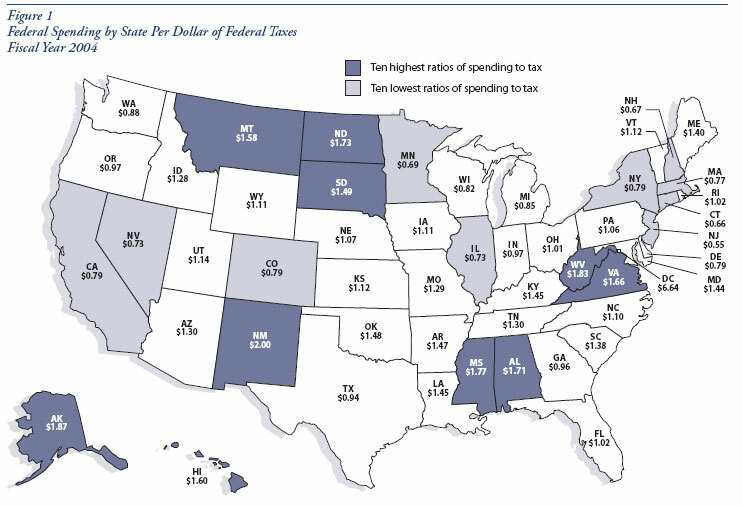 The Southern states are among the highest tax takers or in other words they get back more from the feds than they put in. Uh, I hate to break it to you, but Californians are actually funding Alabama’s poor people. Look up the difference between donor and donee states. DAAAAANG Noam better bring some ice for that burn!! Of course, another way of looking at the map chart is that our Democrat Senators and House Reps in Congress aren’t doing their job to bring back more of our tax dollars back to California, while the GOP Senators and House Reps in states that receive more federal funding are doing a better job in bringing more tax dollars to their states. My view from this chart is you elect Democrats, you get nothing. Maybe it’s time to start voting GOP again? Or we could just try privatizing mass transit and making it more profitable so profits can be used to fund projects and operations instead of constantly needing tax dollars. The idea seems to work fine over in Asia.